From string quartets to full brass bands, these live acts will bring energy and excitement to your Big Day. By Rachel Spurlock·	 11/27/2018, 4:39 p.m. 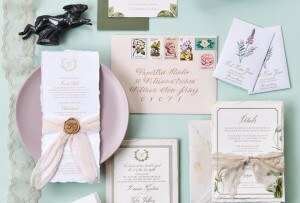 When it comes to your wedding, every element is important. But a great wedding band can take your party from everyday to absolutely spectacular. That’s exactly where our list of top-notch wedding bands in the Philadelphia area comes in. Unsure of where to start? The first part of this list is dedicated to Philly’s six major music agencies and collectives. They manage wedding bands, DJs, and more, and will be able to offer multiple entertainment options for consideration. The second part of this list highlights smaller outfits that still stand out for their talent. Still not finding what you’re looking for? 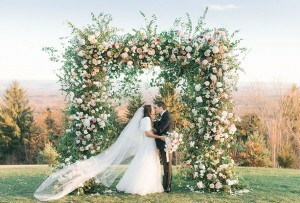 Head to our wedding vendor directory. Since 1997, CTO Artists has been bringing the tunes to the Greater Philly area. What started as a small Jersey Shore band grew to a largely popular wedding entertainment business. In the last 21 years, CTO has performed at over 10,000 events including President Clinton and Ed Rendell’s inaugural balls (plus weddings as far as Buenos Aires and Jamaica!) Taking inspiration from the energy of the Big Apple, CTO took on a fun New York City theme with bands named Midtown Express and Tribeca, both of which have acquired an impressive following. Every week, you can catch up to eight of CTO’s bands in their 2,000 square foot full sound studio in Manayunk during one of their showcases. For more information and dates for their upcoming showcases check out their website. Prices range from $6,500-$12,500. 114 Commons Court, Chadds Ford. Not only is BVT home to some of Philly’s most popular wedding bands, they also staff a variety of live wedding DJs, ensembles, and duos for ceremonies, cocktail hours, and receptions. One of their acts, local favorite, Jelly Roll, is not only popular at black tie galas, but has also performed at the White House and even at the 2016 Democratic National Convention here. Other popular acts include City Rhythm and celebrated DJs like DJ Gaetano and DJ Pat. While BVT prides themselves on their live bands, they also work closely with couples to blend the work of their favorite DJs and bands to offer the charm of a live band at a budget-friendly cost. If you want to see (and hear) more, they offer a number of live showcases each month to give you a taste of each band’s styling before you book. Check out their site for more information on upcoming showcases and who will be performing. DJ bookings start at $1,595 with bands typically ranging from $4,000 to $15,000. 1030 North Delaware Avenue, Northern Liberties. With over 2,000 events each year and over 1,200 five star ratings on WeddingWire, EBE definitely knows how to throw a party. They staff 16 different live bands and 38 wedding DJs, and have even hosted events featured on favorite TLC shows like “Say Yes to the Dress, “Four Weddings,” and “Cake Boss.” To help narrow it down, EBE hosts bi-weekly band showcases and monthly event and entertainment DJ showcases. Get on their mailing list for information on upcoming showcase dates and locations. Can’t make it to one of the live shows? Check out their video clips online to help you get to know some of their talent. Prices upon request. 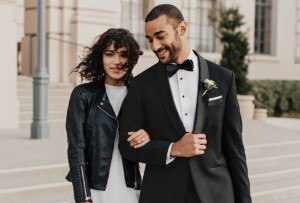 From classical harpists to folk bands, Mole Street likely has the talent you’re looking for in house—the musician-founded company offers an impressive lineup of wedding bands and DJ’s from nearly every genre. Its co-founders, Brian LaPann and Brendan Walsh, have also spread their originally Philly-based company nationally. Mole Street now plays at events across New York City, D.C., and Los Angeles. Some of Mole Street’s most popular acts include The York Street Hustle, The Philadelphia String Quartet, DJ Adrian Hardy, and DJ Sabeel Chohen. To see more artists and to to schedule a time to attend a showcase, check out their website. Prices upon request. 1933 East Cumberland Street, Fishtown. Looking for a triple threat? This all-in-one entertainment company is your one stop shop for all things sound, production, and lighting. Taking inspiration from the rich musical history of Philadelphia, JAE has staffed some of the city’s most diverse musical acts from swing bands to DJS to even steel drums! (And just this year, JAE played a benefit at Reading Terminal Market attended by Philadelphia Eagle Jason Kelce.) They are also home to a horn section that has worked with legendary acts like Aretha Franklin and Ronnie Spector. For more information on upcoming showcases and live performances visit their website. Prices upon request. 923 Haddonfield Road, Cherry Hill. After 40 years in the business, East Coast Entertainment has curated a huge database of talent including everything from string quartets to dance bands to DJs. They even offer a number of rocking tribute bands paying homage to legends like The Beatles, Billy Joel, and The Rolling Stones. Some of their most popular acts are bands like Blue Label, Modern Luxe, Philly’s Finest, and DJ Shelly. (DJ Shelly has worked with clients like Bare Minerals and the Philadelphia Flyers and sometimes travels as far as Las Vegas for performances.) Get in contact with a booking agent to set up a time to attend one of their bands live rehearsals. Prices upon request. 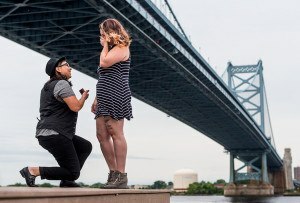 Now that you’re familiar with the city’s major music agencies, go ahead and dig into our list of top Philly-area wedding bands that can help make your night unforgettable. East Coast Entertainment, 923 Haddonfield Road, Cherry Hill. 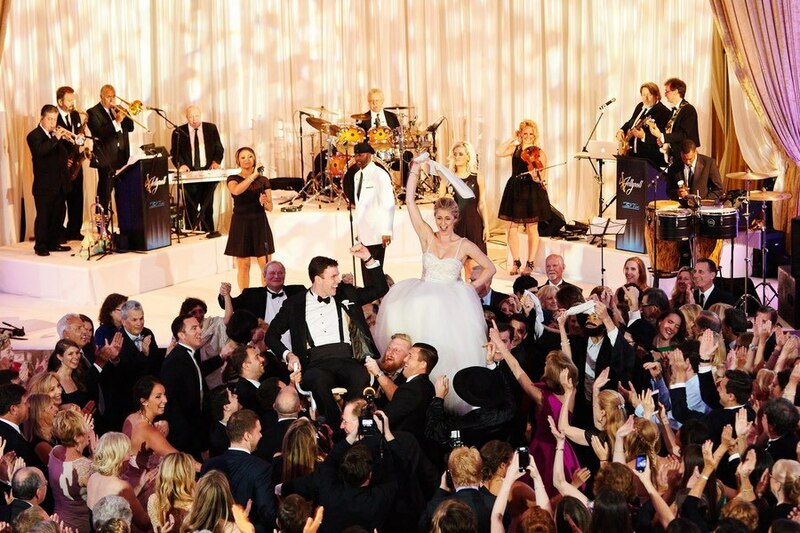 This nine-piece dance band really knows how to get your guests on the dance floor—and boasts over twenty years of collective experience doing so. Legacy’s line up includes a full rhythm and horn section as well as killer vocals from lead singer Candace Marie. Members have worked with industry names like Mary J. Blige, John Legend, and Will Smith. While they don’t have any showcases per se, they hold a ton of public performances in the area. Check out their Facebook page for updates on upcoming events. Pricing typically ranges from $8,500 to $10,000, but can vary. BVTLive!, 114 Commons Court, Chadds Ford. With this popular horn party dance band, you are guaranteed a great time. This band of local legends have an upbeat rhythm section and talented singers who can perform everything from high energy jazz to Top 40 hits. Jellyroll (which we mentioned earlier for their long list of high-profile performances) has performed at countless weddings, the Philadelphia Auto Show’s Black Tie gala benefiting CHOP, and even at the White House. You can catch some of their performances on their website, and look for upcoming showcases to catch them live. 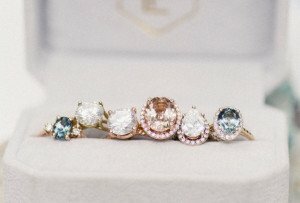 Pricing ranges from $4,000 to $15,000. EBE Talent, 1030 North Delaware Avenue, Northern Liberties. Dreamtime is known around the city for their performances for the American Red Cross, Governor Tom Wolf, and even former President Bill Clinton. As one of EBE’s prized local acts, Dreamtime is the perfect way to set the mood at your ceremony and get the party started at your reception. This dance band allows you to customize the sound by picking from a selection of guitar, keyboard, saxophone, violin, and vocalists you want to hire to really set the tone of your party. To catch one of EBE’s bi-weekly band showcases, get on the mailing list for date and location information. Prices upon request. Bandleader and guitarist Joe Napoli and the rest of the nine man band offer a killer horn and rhythm section, as well as talented vocalists to bring you anything from romantic ballads to glitzy dance music. EBE hosts bi-weekly live band showcases where bands perform in 20 minute sets to give you a taste of their style as well as the opportunity to speak with the band leaders and event specialists to answer any questions you might have. Sign up here to get on their monthly contact list for location and date information. Prices upon request. This eight-piece band boasts experienced members who have toured with some of the world’s top entertainers. With such a wide range of talent they are able to offer multiple genres to choose from—and some stellar dance moves to boot! Whether you are looking for the classic sound of the eight-piece band or if you want to throw in a few extra horns, they’ll customize their sound to fit your vision. Prices upon request. This wedding band is made up of high-energy musicians who know exactly how to get your guests moving. Modern Luxe’s signature sound includes six pieces, two vocalists, guitar, bass, drums, and keys with an option to add additional horns, depending on the couple’s preference. Check out their website for a library of past performances. Prices upon request. The Philadelphia String Quartet (PSQ) has range to spare: the group can expertly blend together the stylings of Bach and Bruno Mars to bring you a fun mix of the best of both classical music and today’s hits. (And they’re a name you can trust: Frontman and award winning musician Mugu Radu, has over 20 years of experience in the industry.) Plus, their services are super customizable: the band allows you to scale from anywhere between two and eight pieces for ceremonies or receptions. This Jersey-based band can bring anywhere from nine to twelve pieces depending on the size of your venue. In addition to their impressive schedule of nearly 80 weddings a year, Brian Kirk & The Jerks have also performed at events like the Democratic National Convention, Good Day New York with Steven Van Zandt, and private events for New Jersey governor Phil Murphy. Want to get a taste of their style before booking? Check out their Facebook page for a list of upcoming live performances. But don’t worry, if you can’t make it to any of those dates, you can contact a booking agent to set up a private showcase. Prices vary based on the number of pieces, venue, and date, but typically starts at around $10,000. Mole Street Artists, 1538 Pine Street, Rittenhouse. As one of Mole Street Artist’s most popular acts, York Street specializes in all things soul. In just a few short years, this ten-piece 1960’s tribute band has grown from playing dive bars on South Street to performing at weddings and events with a song repertoire of almost 100 hits. Their stylings have appeared at a number of local events including The Beer Runner’s Ball and Blue Cross RiverRink’s Summer Festival, and Comcast’s Annual Holiday in NYC. Check out their Facebook page for upcoming events. Prices upon request. Jon Ardito Entertainment, 1933 East Cumberland Street, Fishtown. Whether you are looking for a twelve-piece dance band or a more intimate six-piece ceremony band, Soul City Shakedown will give you a real bang for your buck. With an extensive musical repertoire including everything from jazz to top 40 and classic rock and blues, they will get your guests dancing. If you needed further proof that this group is the real deal, keep in mind that members have worked with entertainers such as Aretha Franklin, Earth Wind and Fire, and Boyz II Men. Check out JAE’s showcase page for upcoming dates. Prices begin at $5,000 to $6,500, but vary widely. Want a band, but not sure about your music budget? A good compromise can go a long way. Local pros The Philly Keys work to combine elements of live music wedding bands and DJs stylings to bring the feel of live music for couples on a budget. By combining piano and guitar with a carefully curated playlist, they bring the feel of a live dance band at a more affordable price point. (They also provide all the production and sound equipment needed for the perfect night.) Prices upon request. For those of you looking for something a little outside the box, look no further. Stella Ruze specializes in playing their own original folk and Americana style songs. With a number of sold out shows under their belt Stella Ruze is sure to bring a unique sound to your reception. In addition to their festival lineup they have played events like Wawa’s Welcome America’s Party on the Parkway and Manayunk StrEAT Fest, and they perform live all the time in various places around the city. Catch one of their upcoming show dates or check out a few videos of their songs on their website. Check out their website for a list of upcoming performances around the city. 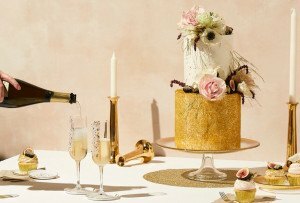 Ceremonies range from $250 to $500, cocktail hours range from $450 to $1050, and receptions from $3500 to $4500, but package deals are also available. If you’re looking a classical sound for your ceremony and reception, Elysium Quartet is here to provide elegant stylings, offering beautiful duos and quartets. Since they mainly book private events, visit their booking page to receive a copy of their CD, check out a library of videos, as well as their set list. Pricing begins at $250 for one musician, and typically ranges to around $1,800, but can vary. Frontman Clay Sears offers a combination of experience (he’s done collaborations with big names like Rihanna, Jay Z, Britney Spears, and John Mayer.) With these pros, expect concert quality music and impeccable customer service from the day you decide to book until your last dance. Showcases are by appointment. Prices typically range around $8,500 to $12,500.